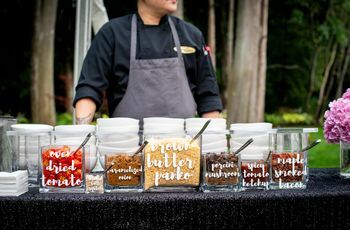 The 2019 Wedding Food Trends You Need to Know About | Wedding Ideas ARE YOU A VENDOR? 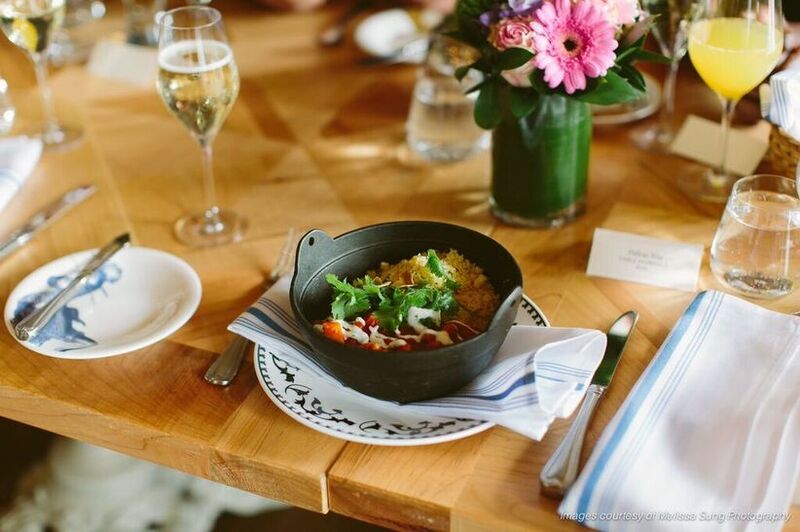 Want to add a few ultra-trendy eats to your menu? 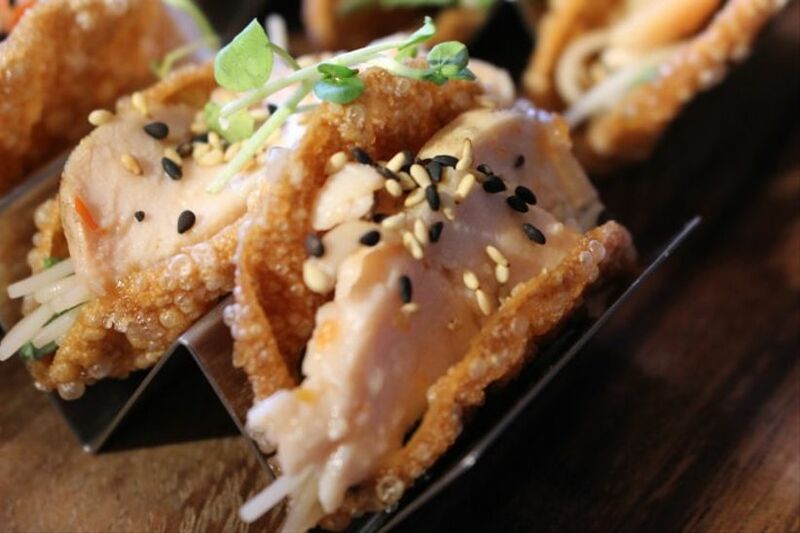 Here are a few of the hottest wedding food trends in the wedding world ATM. Can’t decide what to put on the wedding menu for your big day? 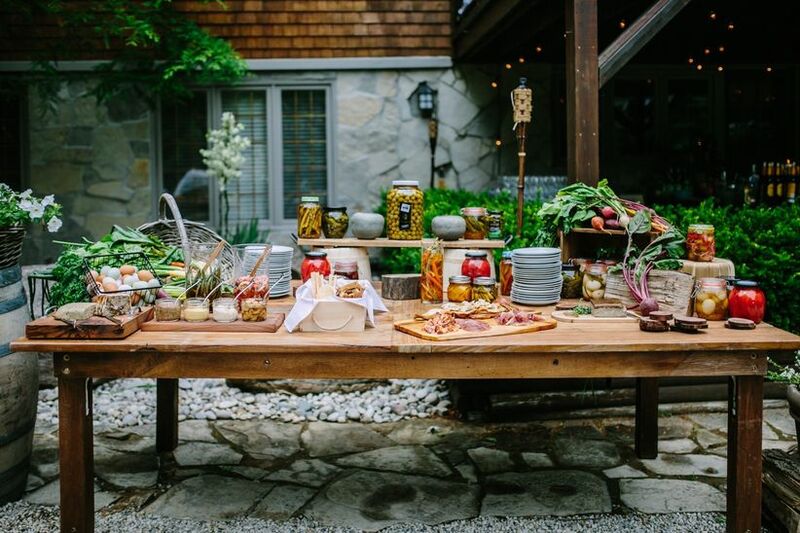 Well, why not hop on the bandwagon with some of these delicious 2019 wedding food trends? 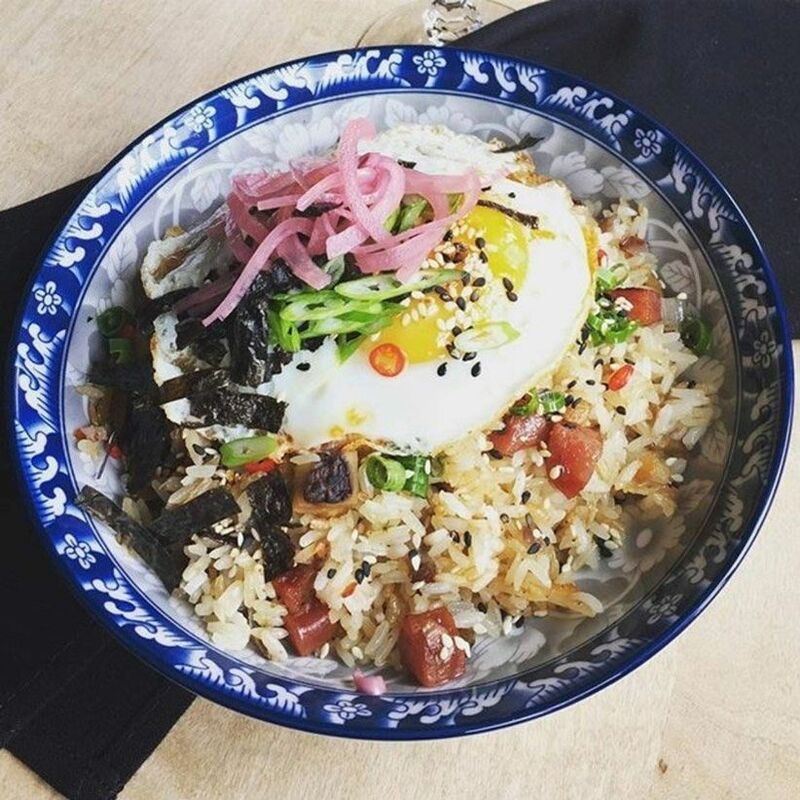 From fermented foods to grain bowls to food trucks, you’re bound to see something you love. 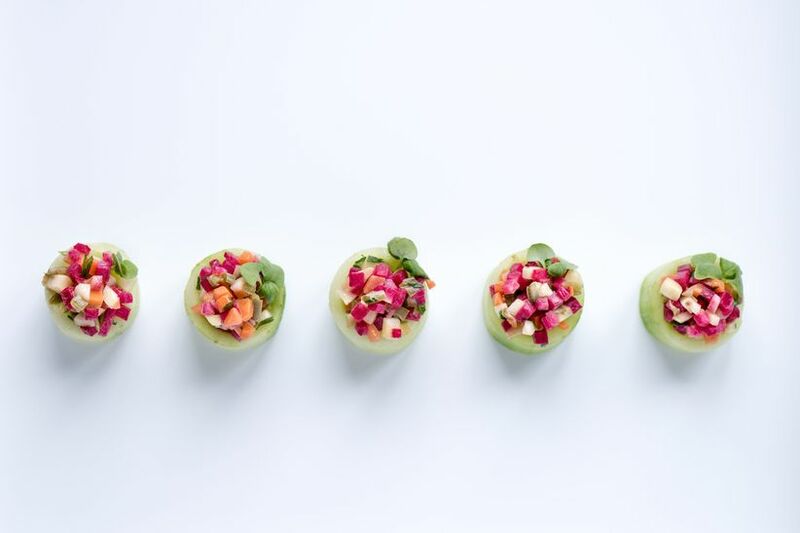 Here are a few wedding food trends for 2019. Fermented, probiotic-rich foods are all the rage right now in the culinary world. Consider including a few in your wedding menu to take it to the next level. A few of our favourite options are sauerkraut, kimchi, pickles, tempeh and yogurt. 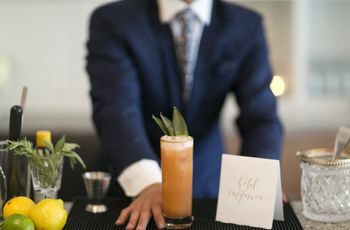 If none of those peak your interest, you could include some in your drinks station or bar by offering kombucha or a kombucha cocktail. Tofu and tempeh aren’t the only plant-based proteins on the block and couples are starting to branch out by adding lentils, chickpeas and quinoa to their menus. These are so tasty that your omnivore friends won’t even miss the meat and will keep everyone full and fuelled for the evening of dancing, drinking and debauchery ahead. What’s cuter than a massive cheeseburger? An itty bitty slider. Instead of going for traditional canapés at your cocktail hour, consider shrinking down a few of your favourite mains. If you love ramen, do a soup shot. 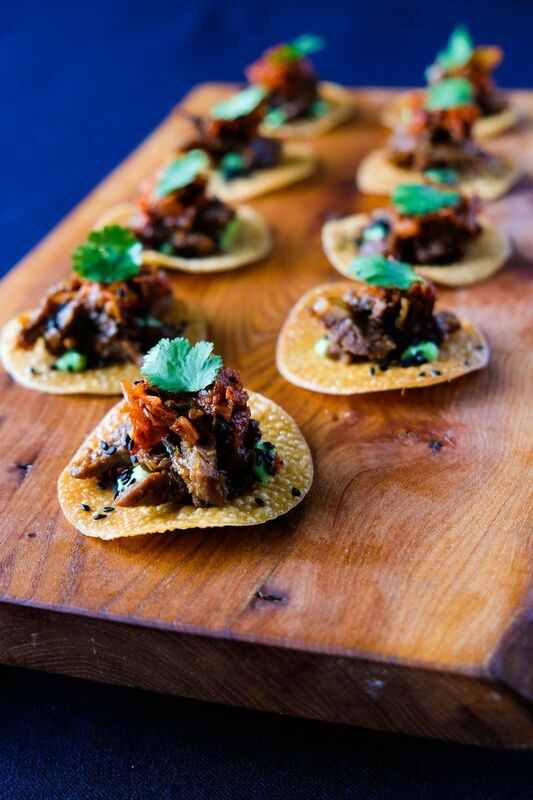 If you’re head-over-heels for tacos, ask your caterer to fashion bite-sized versions. Seriously, just about anything can be made miniature. 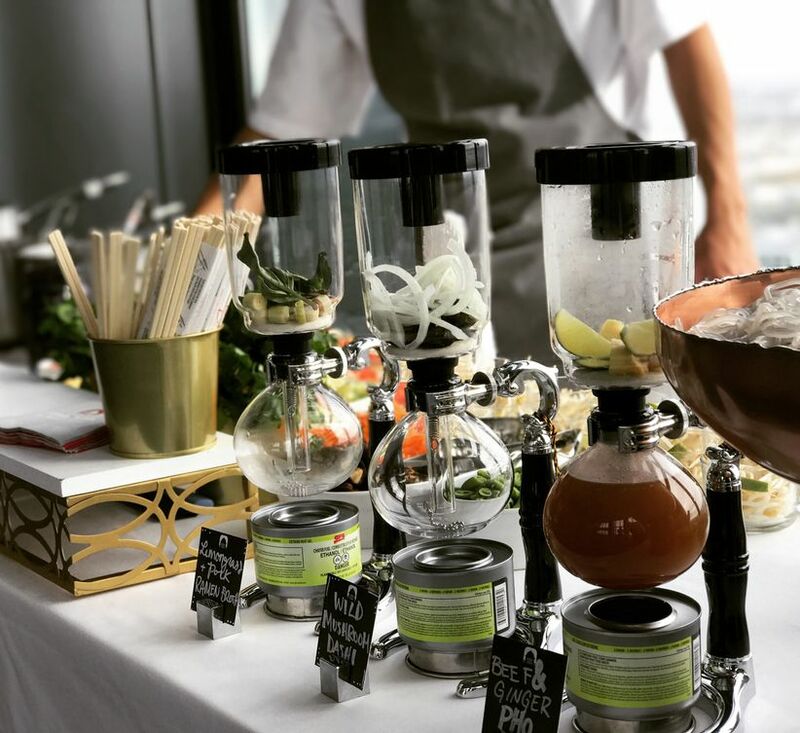 Another 2019 wedding food trend is to turn dinner prep into entertainment by having your caterer on-site doing the work in front of your guests. Add DIY noodles or a sushi food station where your friends and relatives can select the ingredients for their dishes and have their meals made fresh. This is fun to watch and will ensure that everyone ends up with something they love on their plate. If you’ve ever visited a Chipotle, you know just how magical a bowl can be and so it’s becoming a popular 2019 wedding food trend, too. Instead of serving up traditional meaty mains your big day, offer up grain and salad bowls. If you want to go the extra mile, you can totally do this DIY style. Fill a table with a variety of different veggies, meats, grains and sauces and let your guests go to town. 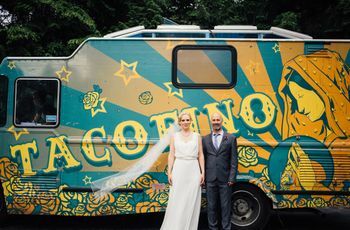 OK, the food truck isn’t exactly new, but couples are still really loving this wedding food trend in 2019. 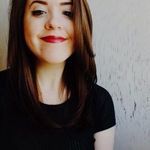 If you don’t want to serve fast food-style eats for your main course, you can bring in a truck or two to dole out late night snacks or hire a beverage-based truck for cocktails or coffee. 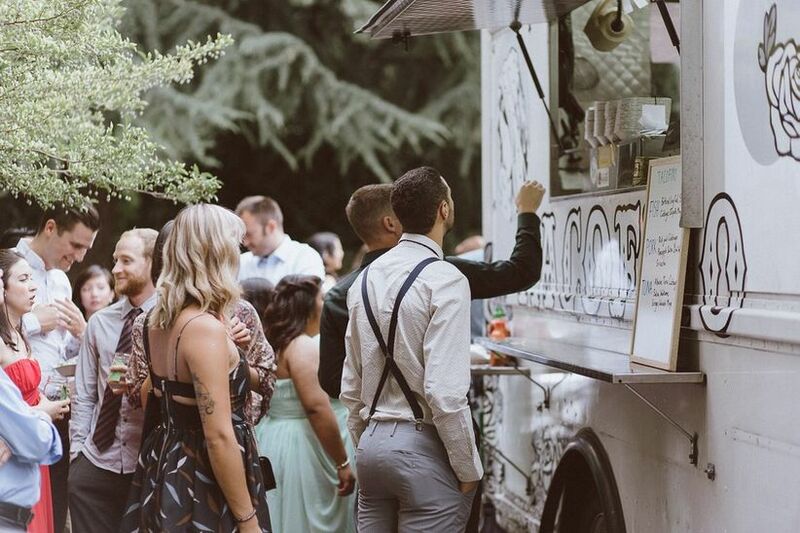 There seems to be a food truck for almost every type of cuisine these days, so you should have no trouble finding one that suits your celebration perfectly. 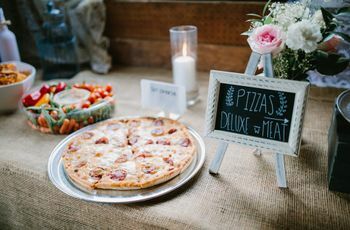 There’s a good chance you’re already considering doing late night snacks at your wedding, but do you know exactly what you’re going to serve? While pizza and burgers remain fan favourites, couples are starting to get a bit more adventurous with their offerings. How? Well, they’re trying to mimic what they’d eat on a night out. From Chinese takeout to diner classics to Korean street food, you’re pretty spoiled for choice in this department.